Proterra is the leading designer and manufacturer of zero-emission electric buses that both reduce fleet operating costs and eliminate dependency on fossil-fuels. We love it when we get to work with amazing people on truly groundbreaking technology that has real-world implications. Recently, Proterra approached Kopis with an intriguing project. Proterra is the leading designer and manufacturer of zero-emission electric buses that both reduce fleet operating costs and eliminate dependency on fossil-fuels. Adam Fowlkes, Manager, Electrical & Controls Engineering, and Robert Clippard, Embedded Engineer, from Proterra’s Greenville, SC location had an idea for a piece of software, a diagnostic tool, that they would release in conjunction with their new high-capacity bus—a super efficient vehicle that gets about the same mileage as the high-capacity Tesla. In the first phase of the project, they came to us with a suitcase full of connecting wires to all of the systems on the vehicle. In order to diagnose, the technician had to hook up to the correct system and could diagnose only that system, continuing one system at a time. Adam and Robert thought that this time-consuming, technically difficult diagnostic method should be streamlined and simplified. Using design requirements established by Proterra, Kopis and Proterra resources began collaborating and developing the diagnostics tool specific for Proterra buses. After developing, testing, and retesting, the team completed Phase 1 of the project. The new diagnostic tool includes both a software piece and a hardware device that hooks up to communication ports on the new bus and transmits data wirelessly to the software package. The diagnostic tool can also connect to previous models of Proterra buses. The software package reads the raw data via multiple protocols and translates that data into easier to understand codes and language—delivering actionable information as well as the raw data. The diagnostic tool also simplifies the data into clear, easy-to-understand visualizations of key metrics for different systems, such as the battery system and the energy distribution system. Technicians can see changes in real time, taking the diagnostic process down to minutes. The diagnostic tool is more than a window into the bus and all of the internal systems—it’s also a means of communication that can be used by the manufacturing team. Proterra can now program the correct parameters into vehicle and can activate systems on the vehicle directly from the software. “It’s very similar to a Smart Home where you can monitor your house and turn the thermostat up or down remotely, for example. The tool operates on a wireless system. Our manufacturing team can launch the program and click a button to turn on a pump, activate a system, set the correct wheel height—whatever they need to do to keep buses running at 100%,” said Adam. 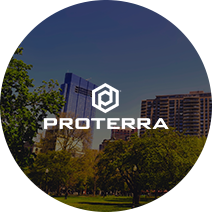 As a result of our collaboration, Proterra now has a stand-alone product from Phase 1 that has been released to internal technicians who will test the software and gather additional field data, letting us know if there are any missing capabilities. In Phase 2, we will be adding new capabilities and information as part of an ongoing effort to enhance the value of the license and their clients’ abilities to sell service to buses. “The experience that Kopis brought to the table in project management, software validation, and programming allowed our product to succeed,” Robert added. The long-term plan includes frequent updates that continuously improve the diagnostic tool in order to maximize self-service and keep buses in operation for the lowest operating cost and the least environmental impact—in other words, the plan is to use the diagnostic tool to continue to support and enhance Proterra’s mission.